Israel is concerned that Iran is beginning preparations to inflame its northern border with Syria via Hizbullah. Despite tension on the southern border, the IDF can deal with several fronts at the same time. The possibility of Israel launching a preemptive military strike should not be ruled out. Commentators on the Arab world are watching Chief of Staff Lt. Gen. Gadi Eizenkot with interest following media reports that he canceled an important meeting in Germany called for next week, and the reasons for his cancelation remain obscure. The Zionist enemy crumpled against the Palestinian resistance after only two days… All this proves that the Zionist regime is significantly weakened… The pace of weakening is increasing. What Are Iran and Hizbullah Planning? Deploying Hizbullah and pro-Iranian forces close to the border fence on the Syrian side of the Golan Heights, with the assistance of local (Druze and pro-Iranian) elements, which, in exchange for financial payment, would construct terrorist infrastructure for attacks against Israel. These include laying mines and IEDs, firing anti-tank missiles at IDF patrols, and launching mortar attacks on Israeli communities in the Golan Heights. Gen. Soleimani and Hizbullah leader Hassan Nasrallah prefer this option, instead of the attacks launched from southern Lebanon as it would neutralize Israel’s possible counterstrike and the destruction of Lebanon’s civilian infrastructure. Opening a new front against Israel from the Syrian Golan Heights would also divide IDF forces among several fronts. Constructing factories inside Lebanon to upgrade the missiles in the possession of Hizbullah to become more accurate and capable of hitting strategic targets deep in Israel more accurately. These targets include Ben-Gurion airport, the atomic reactor in Dimona, refineries in Haifa, and various IDF bases. The working assumption of Hizbullah and Iran is that Israel would not dare to launch a preemptive strike on these factories out of fear that this would lead to an all-out war. An Iranian soldier in Lebanon in 2014. Note his “Iran” and “Hizbullah” patches. In the past, Hizbullah’s Nasrallah attempted to open a new front against Israel in the Golan Heights using a local infrastructure. He gave this mission to Samir Kuntar (a Lebanese terrorist who sat in an Israeli prison for nine years) and Jihad Mughniyeh (son of the infamous arch-terrorist Imad Mughniyeh). However, according to foreign news reports, the IDF assassinated both of them in 2015, before they carried out any attacks. The Hizbullah leader has apparently placed this issue at the top of his priorities in order to settle his accounts with Israel. Israel is aware of Nasrallah’s intentions, and this was reflected in Chief of Staff Gadi Eizenkot’s tour of the border area in the Golan Heights in November, 2018. The possibility cannot be ruled out that Iran, via Hizbullah, is planning a new war of attrition against Israel from the Golan Heights border at the same time as the war of attrition with Hamas on the southern border through its “Return Marches” campaign. The developments on the northern border are worrying. 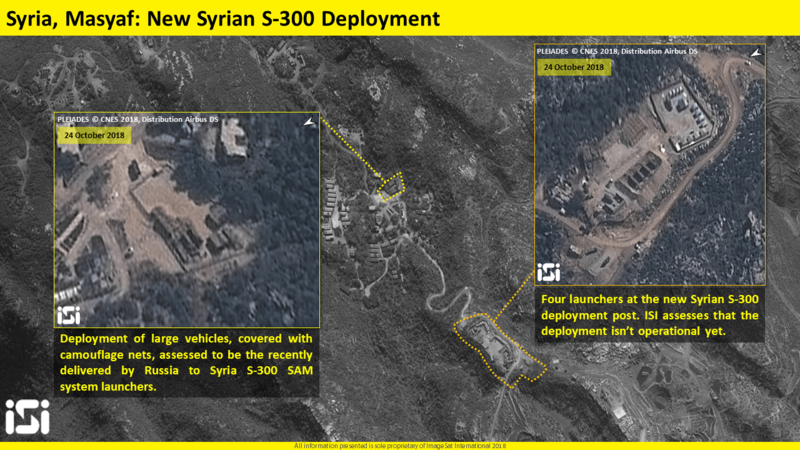 Israel’s freedom of aerial action in Syrian airspace is limited following the incident when a Russian spy plane was brought down by a Syrian air defense system in September, 2018. Russia blames the Israeli air force for the interception. The possibility that Israel will launch a military preemptive strike on the Hizbullah weapons factories in Lebanon, before they become operational, seems very far off, but not illogical. Iran and Hizbullah constructed these factories after Israel managed methodically and over a period of time to destroy game-changing advanced weaponry being transferred in convoys from Iran to Lebanon. With the weapons’ destruction, Iranian Revolutionary Guard commander Gen. Qasem Soleimani decided to construct the weapons factories inside Lebanon to prevent Israeli attacks.